If the news that the Via VL812 supporting YD/T 1591-2009 doesn’t get your attention, I don’t know what will. 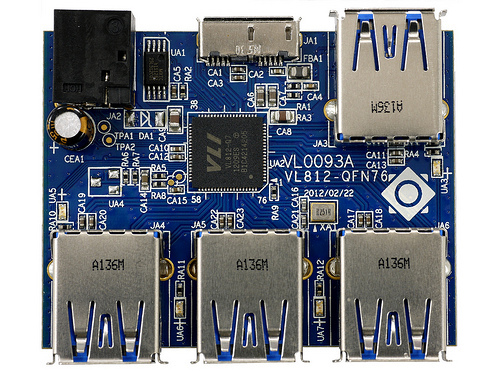 Seriously though, the VL812 is the third generation of Via USB3 controllers, and it has some nifty features. You might recall that Via was the first one to ship a USB3 controller, and in less than 18 months is on generation 3. USB controllers are really not that interesting to the layman, but this new one has a bunch of goodies around charging batteries and newer specs. This is a good thing in just about every way, and it is a single chip solution as well. What enables this is the integration of a 5V DC-DC switching regulator, a first according to Via, and battery charging logic. This lets the VL812 support a Dedicated Charging Port (DCP), Charging Downstream Port (CDP – new and very useful standard), and of course YD/T 1591-2009. We don’t have a clue what YD/T 1591-2009 does, but it sure sounds cool, and up until this sentence, you probably thought we were a lot smarter than we are.